BASKETBALL and an escaped cat...and chanting to trust my life! Well life sure has its ups and downs. Even though the door blew open and my gorgeous himalayan cat (Myoho) got out, I am trying to focus on the great things...and chanting for the beautiful beast! And at 3:30 Ben and I head out to the Illinois/UNC game in Champaign! I got new tires this morning and while I was gone the door blew open and the cat got out. I hope he's having a grand adventure...and I hope he returns. Nam Myoho Renge Kyo, Nam Myoho Renge Kyo. Lately I am chanting to trust the power of my life...to not overthink everything I do...and to have faith that what I am chanting about will happen. I am chanting to trust the power of my prayer...and to stop thinking that one mistake is going to blow everything. I am chanting to relax in peace of mind! I deserve all the good that I know is coming to me...I am chanting to quiet all the noise in my brain!!!! Wow...it really is winter here. All the leaves are gone, and the sky looks like snow. I hope the snow holds off until at least Wednesday because tomorrow is a big day! The coach at Illinois is working on recruiting Ben...and gave him tickets to the UNC/Illinois game tomorrow and GUESS WHO is going? That's right! Ben and Aaron and I will be there! Woohoo! I LOVE live basketball. When I was in High School at Oak Park High my entire family went to every basketball game, at home and away. My junior year we played at the University of Illinois and came in third in the state. What a golden memory! Ben's hearing from a lot of coaches. He is going to have many choices when it comes to college. Of course, as his Mom, I just want him to be happy! Aaron was just home for Thanksgiving break and we chanted together often...the three of us. There is nothing like it. NOTHING. I can feel it in my life...major negative karma is changing. Let's just say for the moment that I am feeling thankful, so thankful. I feel stronger, less sad...stronger and stronger every day. I feel as if a great weight has lifted, and there are blue skies on the horizon. I KNOW my karma is changing...it has to change...all around me I am seeing the results of my introducing people to the Gohonzon, and helping them learn to practice. Julia sent me a picture of herself and the light in her eyes, and energy in her face was so ALIVE. She said, in a way, that before she began chanting she had been feeling her life force just sapping away due to an incident that happened in 2003. Now that she is chanting she has gotten so much more healthy and happy...you can see it in her face and feel it in her life! She's also experiencing a real growth in her musical talents...who knows what else will come along. I love to introduce my people to chanting. It is truly the most rewarding thing. And the fact that when I do it, my life gets more strong and happy...and I draw more benefits in....well, that's just icing on the cake! Today we had a study meeting/gosho lecture at my house. I studied this material over and over until I felt I had something useful and practical to relate to the members. And Mary Lou also received her Gohonzon! She and I first began our friendship out of my quest to solve my leg problem through something other than surgery. She helped me quite a bit...but in the end, as you know...there was only one way for me to go. I have to say I have been so much better since the surgery. I can walk, and walk and walk! Just like I used to! And I will tell you...my karma is changing. It has to! You can't do a ton of shakubuku and keep your life standing still. Nohow...NO WAY! Something I have been chanting for is coming true. I don't want to spoil it here ...but I will say that I deserve it and I am a happy girl! I've also been asked to write an online column about Buddhism, and to lead a class at the Chicagoland Wellness Center called (what else?) Chant for Happiness! Yaaayyy! Today, celebrating Ben's 18th Birthday! Two incredible Buddha Boys! This was taken of me on Sunday...sending all good wishes YOUR way! Ben's Birthday and Danielle's Enshrinement Party! What a day...Ben's 18th birthday...and the same day, in Cloverdale California, Danielle's Enshrinement party for her Gohonzon. For Ben's birthday I made a colorful stir fry, and his favorite spice cake. Then I distributed gold wrapped chocolate coins at everyone's plates. Each of us made a wish for Ben's 18th year with each coin. We had some serious wishes about pursuing his dreams, and getting into a college that brings him joy, and making it through the college apps. And I'll just tell you we ended up having a wild and fun time...I mean, think about it...what would YOU wish an 18 year old boy? And to quote Ben, quoting Forest Gump "That's all I'm going to say about that right now." Some of our wishes were quite dignified...others...hmmmm, not so much! And I am thinking tonight of Cloverdale California where Danielle is enshrining her Gohonzon in her Gohonzon room as we speak. Julia came down from Ukiah, and many of Danielle's friends are there. She didn't just have an enshrinement...she had a party! Of course! She is so ready to have meetings, and she's already introducing her friends and studying away. There is just something to be said for being ready. She's known me since Aaron was about one year old. We discovered her in the park by our house in San Francisco. When our Nanny turned out to be someone we couldn't trust...we turned to Danielle and ended up bringing our children to her every weekday for many years. She taught me so much about parenting. She was always so respectful to each of the kids she was watching...no matter how dramatic the moment. She'd calmly get down to eye level with the child and say "use your words" in the most soothing tone of voice. She MADE play doh for goodness sakes! The kids produced great works of art with her. When I asked her secret to having them create great art she said "It's knowing when to take the paper away." Ah. Very wise! Over the years Danielle heard the boys and me chanting, saw them grow up, and then Aaron and I made the trek to Cloverdale to stay with her this spring. I hung my own Mom's Gohonzon on her wall and we all chanted together...and I have to ask exactly what happened...but she called me ON MY BIRTHDAY and said she wanted to practice. It was one of the coolest gifts ever! Go Danielle! I am soooo glad you now share Ben's Birthday with him. You have noooo idea how incredibly great your already wonderful life will become now! As you know "A sword will be useless in the hands of a coward." And you are definitely NO coward!!!!" Congratulations! What a great Day ~Amidst a string of great days! the University of Illinois is back for the whole week. That's longer than he was home all summer. We've had a wonderful weekend together...he is so strong and happy. Everything he's wanted to break through is coming to pass...his inner strength just continues to shine brighter and brighter. Today we spent the day at the Shedd Aquarium. His idea. We had a blast reading the minds of the fish...and reciting an ongoing monologue. I'm quite sure each of the fish really were speaking to us in their own ways. My favorite ones I called the Jamie fish...they were bright orange and pink. I'll see if I can email a picture here. We just laughed our way along. Then we went to Zapatistas ~ our favorite downtown spot right by the SGI culture center for dinner. The weekend was sparkly...I got the chance to meet several new friends. And tomorrow ~ the 23rd of November is Benjamin Lee Silver's 18th birthday. I'm going to surprise him in the morning with french toast and the DVD of How to Train Your Dragon. It's a delightful show. Ben loves it! 18 years old...what a concept. All I can remember from being 18 was a lifetime of longing...and feeling completely unfulfilled. I was truly living in the world of hunger. What I would have given to have been able to chant...to have known about it. Aaaaaahhhh. The Chinese character myo of myoho, or mystic Law, has the meaning "to open," as does the Chinese character for the number eight. The curtain has risen on the Soka Gakkai's 80th anniversary year, a year when everything will open up ~ or rather, a year in which we must open the way to victory in all areas. based on the shared commitment of mentor and disciple! to forge ahead bravely and victoriously! to perceive the essential truth and changing circumstances! Open the way with self-assured and confident action! He points out that the Soka Gakkai's focus is to grow and pioneer new frontiers for Kosen Rufu (world peace) always maintaining a direct connection to Nichiren Daishonin by basing everything on his writings. That's why we read the gosho~the letters he wrote to his followers. For those new to the blog let me remind you that the advent of Nichiren Daishonin in 1222 AD was foretold by the original Buddha. He said that a Buddha would come along who would reinterpret his writings for the people of the Latter Day of the Law ~ the time in which we live. In 1222 the Daishonin was born in samurai time in Japan. Before he entered the priesthood he made a vow to become the wisest man in Japan...then he went around to all the temples reading the Buddhist scrolls ~ searching to find which of the schools of Buddhism was the lifeblood of the original Buddha ~ which one had the power to transform people's lives. When he began chanting the title of the Buddha's highest teaching (the Lotus Sutra) Myoho Renge Kyo he immediately saw the power in it. He added Nam at the beginning to signify devotion or focus, and he was on his way. Immediately all sorts of persecutions came upon him and he was even more certain that he had found the true teaching. Now, we study his letters to his followers called the Gosho, literally "honorific writings." These are the lifeblood of the Buddhism we practice. Nicherin found the key to the real, useful, words of Shayamuni Buddha. The Gosho we are studying this month explains that each of us who practice and chant Nam Myoho Renge Kyo will suffer various persecutions as we move our lives forward with the deep prayer for Kosen Rufu...and this is inevitable and meant to be. If we run from our troubles when they occur we will not be able to stand as a strong confident lion, overlooking all that we have accomplished by overcoming the storms that come our way. These storms are NECCESSARY in order to turn "Poison into Medicine" ...or transform any harm or negative consequence into positive outcomes. Everyone who chants Nam Myoho Renge Kyo needs to understand that problems are inevitable and important! Only through overcoming a great evil will we know the power of the mystic law. I think each of us has our own great evil in a way. I always saw my weight as the great evil in my life. And now that I have slayed that dragon I do feel so powerful! What dragon will you slay? Don't turn away when the going gets rough! That's why it is so important to join with your fellow Buddhists! The true practice of Nichiren Daishonin's Buddhism is done together with your fellow members. If you practice on your own you will not have the lifeblood of the faith! It is definitely a new day! We have now entered the 80th year of the Soka Gakkai's founding. You may know that the number 8 has tremendous significance in Eastern cultures. First of all, if you lay an 8 on its side it is the symbol of eternity...right? 8 also means myo...or to open...and this is the year of opening, and this is the moment of opening for me. Sooo, new neighbors bought the house a few weeks ago, and all day on Thursday there were 6 very nice men cutting down trees on the lot next door. They even took away our brush, and the tree that had fallen in our backyard (from the neighbor's lot) AND the dead tree that had fallen in our wood lot. And in return I gave them coffee and cookies and they came inside and played guitar for me. Wonderful! Yesterday was an awesome day in downtown Chicago. I walked from the train all the way to 111 N. Wabash (Heaven on Seven) and back. Quickly. And my hip was fine. I felt like my old smart and quick self! I was smiling the whole way! I also was invited to teach chanting classes at the Chicagoland Wellness Center. We're calling the class "Chant for Happiness" just like this blog, and the owner herself is very excited about learning to chant! And today....drum roll please...I connected with someone I am going to help in her spiritual weight loss journey. OMG it is so much fun ~ I am just pinching myself. This is truly the work that I was born to do. She has already changed her energy around this whole subject and is excited about what lies ahead. We first spoke on Wednesday and I gave her some homework to complete by today...and she had done it all, and was already feeling transformed. So Yaaayy! Here we go! And my son Aaron came home last night for his first long (9 day) stay since Christmas. He worked at U of I all summer. He is a man now...20 years old...so handsome...so strong and self assured. He has made and is making all the goals he has set for himself. He has had a personal breakthrough at school. Both of my sons are so strong...their life force is flowing. They are chanting and I am chanting for them. I appreciate my life~ I appreciate me life!! Well, it's finally here...the day we have been thinking about for soooo long. Today is the 80th anniversary of the Soka Gakkai and the 50th Anniversary of the Soka Gakkai in America. This is truly a day to celebrate. Last night we held an inspiring and uplifting meeting here at my house. People didn't leave until about 10:30; everyone was so happy to be hanging out together...we really are like a family. Every Wednesday we meet here, share stories, encourage each other and gain inspiration together. Last night, one of our newest youth members (he's in his early 20's) described his experience of chanting. He said he used to worry constantly and now he doesn't worry at all anymore. He takes things as they come and keeps chanting. he knows everything is going to turn out fine. You know, some people never, ever get to that stage in life. It's called Peace of Mind! Go Kris! He really knows the heart of this practice: faith, practice and study. We chant, we study and we teach others, and we introduce others...that's how you get benefit in Buddhism. You become the best version of yourself...a true Boddhisatva! In this practice all humans are equal! We are all Buddhas...every single on of us...all of us are unique with our own special gifts...and chanting Nam Myoho Renge Kyo allows us to tap the power of the universe within. Nam Myoho Renge Kyo means : I fuse my life with the mystic law of cause and effect through sound vibration. And it does just that...fuses your life with the very rhythm of life itself....and when you chant these words and connect with your desires, you can watch your dreams come true right in front of your eyes. The sky is the limit...there is nothing you can't wish for...and you add power to your prayer when you deepen your prayers to include the happiness of all...for instance, when I chant for my own happiness I am always chanting to be an example that this practice works...so that my results and life and happiness can inspire people! Tonight, at 7:00 California time my dear, dear friend Danielle is getting her Gohonzon. She was the young woman we found in San Francisco to take care of our sweet Buddha boys before they were old enough for school when we were at work. Danielle was gifted...a natural earth mother...she taught me so much about parenting, and she was so young at the time...but old for her years. When we moved from San Francisco we kept in touch and she moved up to Cloverdale...a truly heavenly place. This spring Aaron and I visited Danielle and we all chanted together. She called me on my birthday to tell me she wanted to embrace this practice. And tonight she's getting her Gohonzon! It is a new birthday for her...one she will never forget. I will ask her, and report back to you...just what was it that had her make this pivotal decision right now~! I gave birth to two great boys. I chanted for them before they were born...I chanted that my prayers would change their karma even before they were born...and that they would have dreams and pursue them...and be strong...and that I would be a good, wise compassionate mother to them...so many other things. What a joy it has been to be raising them as Buddhists. From their very first years, when they had problems we would chant together, and they learned that there was no problem they could not solve. They solved problems with bullies, they have chanted for tests and grades...they have alleviated bad dreams, they have reached personal goals! How incredibly wonderful it is to have given them this tool. I think continually how I would have chanted to change my problems when I was a sad, sad teenager. I would have loved this practice...I looked for it, and finally I found it at the age of 25. A little too late for high school, but not for the rest of my life! What else have I chanted about? To have friends. People who know me now cannot imagine me as I used to be...friendless and sad. I sat in front of my altar and cried, I vowed to change in any way necessary to have friends...I chanted for real friends. And here I am now...with so many truly dear friends, all over the world. I have changed so much...I have lost 70 pounds and am keeping it off. I'd call that a miracle, but because I chant the law of cause and effect, I know it is not a "miracle" because I made the causes to make it happen. How great it is to live knowing that there is not a problem I can't solve...not a hurt I can't make go away...sure, I am not perfect, and I am still working on some things...but I know I will get there and that makes life so exciting! Nam Myoho Renge Kyo! I ask you, really, what is better than a true friendship? I spent the day today with my wonderful friend Kindred. I began the day chanting for three hours, I've had such a heavy, heavy heart. I am chanting to change the deepest emotional pain in my life, it's not gone yet...I know I can conquer it...I know I'm doing such deep karma changing. It's as if it just has to come out to be banished forever. I come from a line of women with broken hearts...and I have vowed in front of the Gohonzon to change this karma. And, as all of us who practice this Buddhism have observed, some karma is just harder to change than others. But, as Nichiren Daishonin says...no prayer goes unanswered! Anyway, I had the art fair in Geneva, and a day with Kindred to look forward to. We laughed all day long, and talked and enjoyed the artwork. I found a place that I am going to sell some beautiful coats that no longer fit, along with some jewelry. And we found an interior designer and booked an appointment for both of us to go back so Kindred can sell her beautiful hand-made chandelier. I'm really excited about this! She worked for an entire year creating this chandelier...she even traveled to California to learn how to make the electrical work! This could be just the breakthrough she needs! Her work is high end...and I think she just found her market. Nam Myoho Renge Kyo!! Meanwhile my dear friends Julia and Danielle in Northern California are preparing their homes to receive the Gohonzon! They get it! They understand the power of this practice. Rock and Roll! Friendship is just where it's at!! On this, the one year anniversary of my Mom's death, I share with you these words that have been inscribed in my heart. This is one of the only religions that has the actual texts of the founder in written format...not someone else's interpretation of the founder's words. This quote reinforces how incredibly fortunate we are to have the Gohonzon and be able to draw the rich power of the universe from within our lives. This was written to Shijo Kingo's infant daughter, but meant for his parents. They had been followers for many years, and had recently been bestowed with the Gohonzon. They were one of the first families...and they had written the Daishonin to inform him that Kyo'o was very sick. This letter was his response. It was written August 15th, 1273. Since I heard from you about Kyo'o Gozen, I have been praying to the gods of the sun and moon for her every moment of the day. Always cherish the Gohonzon which I sent you some time ago for her protection. This Gohonzon was never known, let alone inscribed by anyone in the Former or the Middle Day of the Law. The Lion, king of beasts, is said to advance three steps, then gather himself to spring, unleashing the same power whether he traps a tiny ant or attacks a fierce animal. In inscribing this Gohonzon for her protection, Nichiren is like the lion king. This is what the sutra means in "the power of an attacking lion." Believe in this mandala with all your heart. Nam Myoho Renge Kyo is like the roar of a lion, what sickness can therefore be an obstacle? ...Wherever your daughter may frolic or play, no harm will come to her, she will be free from fear like the lion king... But your faith alone will determine all these things. A sword will be useless in the hands of a coward. The mighty sword of the Lotus Sutra must be wielded by one courageous in faith. Then he will be as strong as a demon armed with an iron staff. I Nichiren, have inscribed my life in sumi, so believe in this Gohonzon with your whole heart. The Buddha's will is the Lotus Sutra, but the soul of Nichiren is none other than Nam Myoho Renge kyo. Miao-lo states in his interpretations, "The revelation of the Buddha's original enlightenment is the heart of the sutra." Kyo'o Gozen's misfortunes will change into fortune. Muster your faith and pray to this Gohonzon. Then what is there that cannot be achieved? You should believe the Lotus Sutra when it says, "This sutra fulfills one's desires. It is the pond's cool, clear water that quenches thirst." and "They will have peace and security in this life and good circumstances in the next. When I am pardoned from exile in this province, I will hasten to Kamakura where we will meet. If one considers the power of the Lotus Sutra, he will find perpetual youth and eternal life before his eyes...."
I feel like a beautiful, exotic plant that is about to burst forth in flower...the stems have grown, the water source is secure, and the sun is in the most favorable condition for me! My spiritualweightloss.com web site is up and running, I'm writing articles for Megan Gala's magazine, and I am awaiting my business cards in the mail! Every day I run out there like a little kid! I probably would have gone to the Chamber meeting today if I'd gotten them in time...but it wasn't meant to be...no...I got to walk in the sunshine on this glorious day...and I also opened my business account! Woohoo! And tonight's meeting was awesome. My entire district chanted with me for a whole hour...such heartfelt, life changing daimoku. Next week is the November General Meeting with food and song and new guests...it will be incredible. Ben's picture is all over the newspapers for coming in tenth at state. I swear, there's a huge article. He definitely WON! Aaron took his big organic chemistry test and thinks he did well...and I'm here with the luxury of having time to chant to my heart's delight...chanting in appreciation and knowing that I'll find the perfect place to live, and I'll be helping people to lose weight and earning a living at the same time. Today I cleaned right down to the dust bunnies in my Butsudan room...all the while saying: "I am clearing this space to make room for all the wonderful things coming into my life right now...I am clearing my space to welcome new energy and income and people into my life! Woohoo! I just don't think there is anything more exciting than having a really deep impact in someone's life. For me, that is the crux of life...the reason I chose to be born at this time...the juice that makes life worth living. You should just see what is happening in the lives of my friends from California who are about to receive the Gohonzon...and the thing is...the beautiful thing is...I shakubukued them with my life...and THAT is the anwer to my prayers. I've known Julia for 12 years, ever since a friend fell deeply in love with her when we were all living together in San Francisco. We always had friends living with us there...it was truly a gift for ourselves and our kids. We gave our kids "chosen" family! Then over the course of life, Julia had some setbacks and got ill...she got Lyme disease and a deep sadness from some events she went through. When Paul turned 50 I flew Cliff and Julia here to surprise Paul...and we had a great time...only I was so heavy and so sad. Julia believed in me. She believed I could win over my heavy body and become healthy and happy. She turned me on to Goji juice...and I redetermined...and redetermined to achieve victory. I would not give up. She and I would talk frequently about life and affairs of the heart. As you know...I've lost the weight! When Paul and Ben and I drove to Port Clinton, Ohio to see Julia and Cliff this summer, Julia was in no mood to talk about religion. She had spent a week with Cliff's wonderful...evangelical ...Mennonite family...so I said nothing about chanting, and my life itself did the talking. She was floored by how I looked...but not just how I looked...she is intuitive and spiritual and she could FEEL the strength of my life. She saw how Paul and I, even though we are divorcing, we are enjoying each other's company and raising our wonderful and happy Buddha boy! She has known Ben since before he was born and she and Cliff and Ben jammed on guitar and talked and laughed together. One afternoon in the park she said "Let's Chant". And Ben and I just started chanting outdoors with her...and she has not stopped since!!! She and I talk every day...you should hear her! The power of life...the excitement of reclaiming her health, her vitality, her energy...it's palpable!!! She KNOWS she has tapped into the source of the UNIVERSE within her...she's chanting every day, twice a day and preparing to receive her Gohonzon. Every time I talk to her I get a surge of "Anything is possible! ANYTHING!" and we give each other energy. I know I am in the process of making my dreams come true. And I'm sharing this process with the people I love and watching their lives blossom too! Truly...what could be better? When I asked Ben this morning "what will you remember forever about your senior year state meet?" He answered that he saw the time as he ran through the finish line 14:33 - and his lowest prior was 14:52 and he was elated...he was looking for someone to celebrate with, and saw Aaron, his beloved brother first, there to congratulate him! He'll never forget that. And he also said on Friday night, Coach Kup gave a talk, and at the end of it, just as he was walking out the door Kup said, "Oh, and you can keep your uniforms forever!" and he just couldn't believe it! The boys were shocked and happy! So happy! Ben Silver Rocks!!! We love Coach Kup!!! Today, my almost 18 year old son, Benjamin Lee Silver came in 10th in the State of Illinois Cross Country meet. As a senior, this means the world to him! 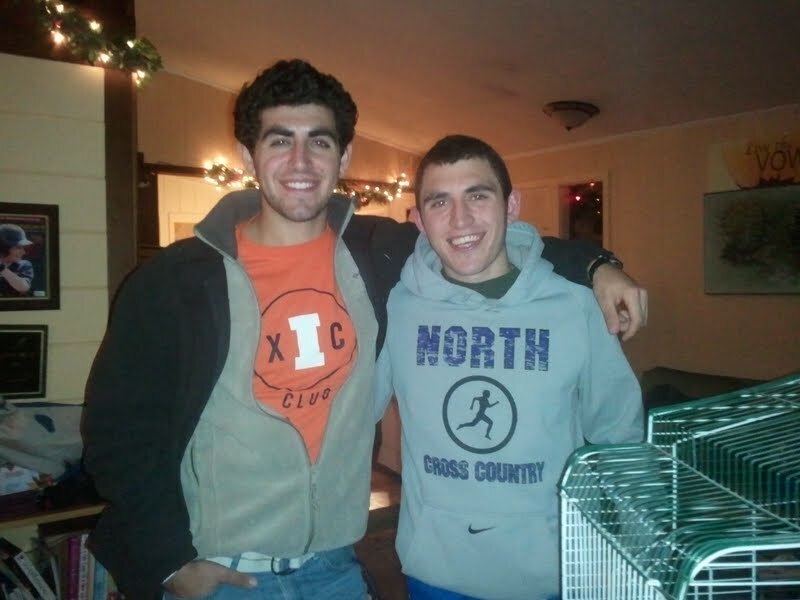 Illinois is the top running state in the nation, and Ben's been injured for much of the season. What did being injured mean for Ben? It meant that every night he'd spend 2 straight hours on the elliptical machine at the gym to keep his heart in running shape for when he could run again. You should have seen him. And he worked so hard to keep his grades up in the 5 AP classes he's taking this year. And it paid off for my Buddha boy. His goal was top ten and he accomplished it. So exciting. Now he can really focus in on college planning. At the moment he plans on applying to 11 colleges, all over the country. I am chanting for him to be happy...wherever he ends up! What a day...we are really on a roll these days. I woke up early enough to chant strongly for an hour before we headed off to Peoria "The Promised Land" as those of us in the Downers Grove North running program call it....aaahhhh Detweiler Park, I know you well! This year was especially important because the entire team qualified to run, and it's coach Kup's last year. He's an amazing man, Kup. He leads the boys with heart and character and love. I told him many moons ago "Kup you can't retire until my boys graduate!" and here we are in Ben's senior year...and Kup's last year before retirement. Goodness knows, though, KUP is not going to retire! I can't wait to see what he does next with his amazing precious life!!! that maybe you weren't going to be able to breathe on your own. urging me to win over those demons we two share. because they are just too painful to feel. But I do this for you Mommy. I vow to win forever. I have changed our karma forever. Wow! What a wonderful morning..seeing the boys off to Cross County State! So much energy and excitement. And the sun is shining even though it's cold. These two weeks, culminating in the date of November 12, commemorate last year when my Mom was spending her last few days on the planet. In her honor I have dedicated the top of one of my bureaus in my Butsudan room to her...with some gifts she gave me, pictures...her kukui beads...and just honoring myself and being especially good to myself. In her honor I decided to reach some goals by the 12th...I've made a lot of progress so far. I cleaned out all the drawers in my bedroom, and the closet and closet floors, and yesterday I had my dear friend help me in the garage, and in cleaning and organizing our entire pantry. It may not sound like much to you...but I know, as many of you do, that having a decluttered life allows clarity of thought...and an openness for great things to come into my life! Wow! What an amazing day! 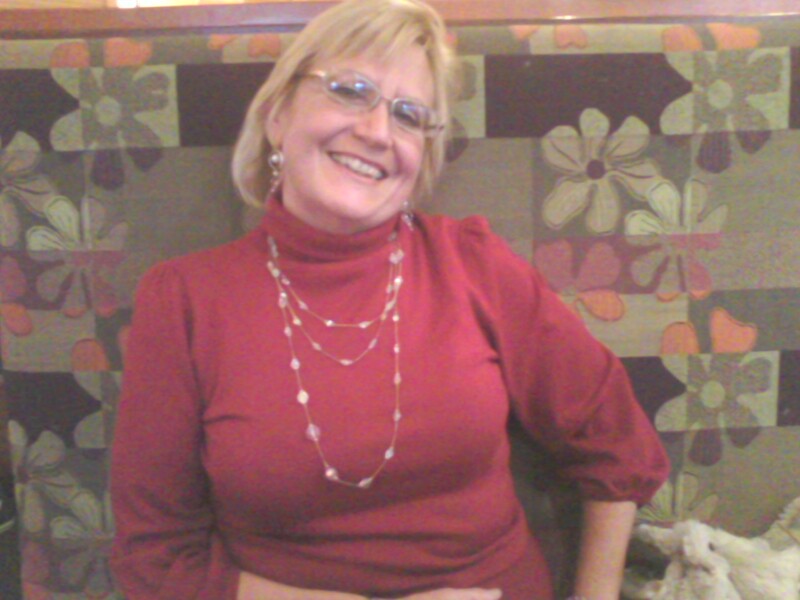 Today I was on Megan Gala's Everyday Wisdom radio program on blogtalkradio.com. It was soooo incredible! I will post a link to this radio program as soon as possible. First of all, I want to introduce Megan Gala to you. She is the founder of The Love More Project. She is a media visionary and a clear channel of love and light. When I went to California in March I was on a mission to expand my horizons for my life. Megan was giving intuitive readings in the Angel store in Benicia California. I only saw her for a moment, and it was a profound moment! I had an intuitive hit that showed up like a visual spark. I called her immediately and had an intuitive reading from her soon afterwards...and working with her has been expanding my horizons! Her website is thelovemoreproject.com. A few weeks ago she and I had another conversation, and my entire spiritualweightlosscoach.com website came directly from the chanting I did after that conversation! Today's show was a testament to her ingenuity, openness and intelligence. She really wanted to learn more about the practice of Buddhism, and at the same time all her listeners had an education as well. I covered my favorite points...the fact that desires are GOOD in this practice...that your life is totally interconnected with the universe, in fact...you ARE the universe...we talked about the rebirth of the SGI in wartime Japan...and the meaning of Nam Myoho Renge Kyo. Megan was having a glitch preventing callers from getting through...and when one caller got through it turned out to be my dear friend Julia, who recently started chanting. Julia said she'd chanted to get through to the station...making herself the perfect example of putting the practice into action! Breathtaking! Julia talked about working with me and chanting and changing her life...how she'd discovered that she had MRSA in a wound (a superbug) and how her husband keyed her into an herbal way to cure it...and she has really had so many breakthroughs that I know about as well. We ended by me chanting on the air. I rang the bell, chanted Nam myoho Renge Kyo three times and chanted for a few minutes at varying speeds. Then I ended with three daimoku. Megan gave her listeners a few moments of silence to take it in. And we ended the program. Thank you Megan! I look forward to working with you again soon! Today I am being interviewed on Megan Gala's Everyday Wisdom radio program. The interview will take place at 1pm Central time. If you would like to listen live go to blogtalkradio.com at 1pm and click on the button that says "on the air now" and choose the show. You can listen later if you can't listen live. Right now I am heading back to the Gohonzon to chant some more this morning!